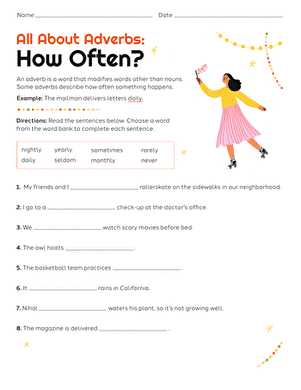 Help your child conquer verbs and adverbs with this worksheet that asks them to identify these important parts of speech in a sentence. 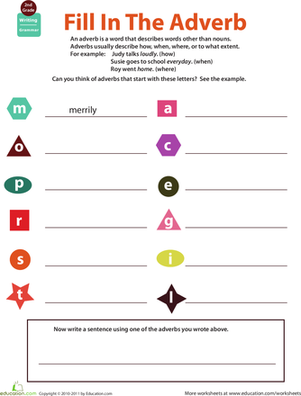 Kids will put their grammar knowledge to the test as they find the verb and adverb in each sentence, and will even sneak in some handwriting practice as they write the words in the chart. Remember: verbs are action words, and adverbs are words that describe them. 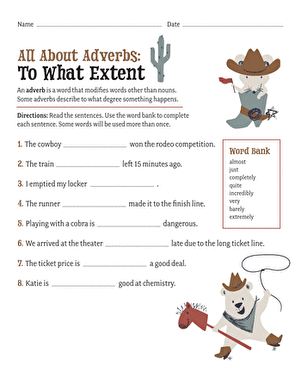 Learn more about adverbs with the complete All About Adverbs series.